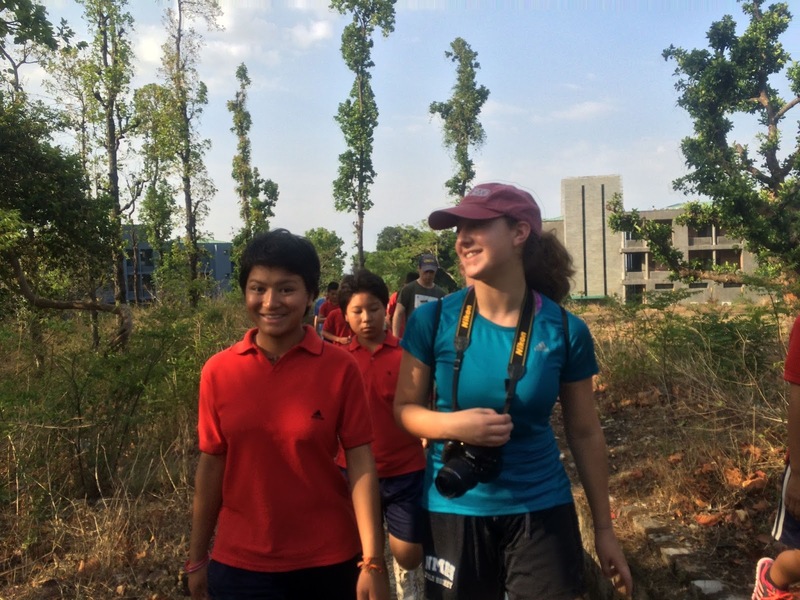 Today we woke at the crack of dawn, stumbled around until we found our sneakers and water bottles, then began our trek into the foothills of the Himalayas. 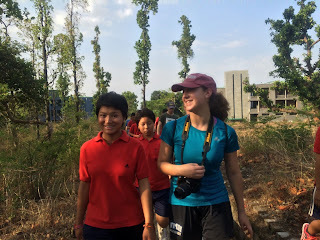 With the Joybells children leading the way, we followed an aqueduct through the woods, walking along the mountain paths that exposed beautiful views with mountain after mountain rising up out of the cliffs and villages. By the time we reached our destination, it was 10AM, 3 hours after we had started hiking. We were all sitting at a tiny temple hidden high in the mountains, overlooking all of Dehradun with its ever-expanding spread of chaos. It was so beautiful to be that high. When I looked up, it seemed as if we were almost at the top of the mountain. We hiked down and when we got back to Joybells and looked up at the mountains, we saw that the little temple that we climbed to reach was actually less than a quarter of the way up the mountain. I guess it’s all a matter of perspective! We then proceeded to have a mango party with all the kids, finishing the day off with a soccer game (which we won with the help of some of the Joybells kids who played on our team). Our game ended just as the sun set behind the mountain we had tackled that morning. Thank you for writing and the great photos! If you ever want to fuel your love for Vietnam, no better tour operator than the Green Visa! They are not only reliable and honest, but know so much about the country that you will want to visit it again. I personally loved their services.